Metropolis Marble Overmantel carved in a traditional style. 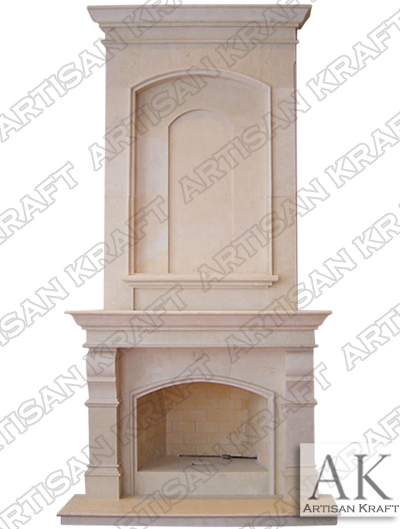 This marble fireplace with an upper mantel is 12 feet high overall. The lower portion is available without the upper. Hearth is slightly raised giving it an overall height of 4 inches. Corbel legs by an arched firebox opening. There is a brick firebox in this picture. Overmantel has trayed inset matching inner frames. Capped by a large trim surround on top.